BOILERS & BURNERS exhibition is widely recognized as a leading international event for the power heat engineering industry. BOILERS & BURNERS is UFI approved event. It provides an opportunity for Russian participants to find more international business partners. ROS-GAS-EXPO exhibition has voluntary passed certification procedure and it is the Russian Union of Exhibitions and fairs (RUEF) approved event, which means professional estimation of its organization level, including all key factors of the exhibition quality: level of preparation and holding of exhibitions, professionalism and responsibility of the organizer, reliability indicators of the exhibition, audit data, the best event marketing opportunities, high efficiency of participation. Specialists of: municipal and regional Chamber of Commerce, scientific research institutes and others. 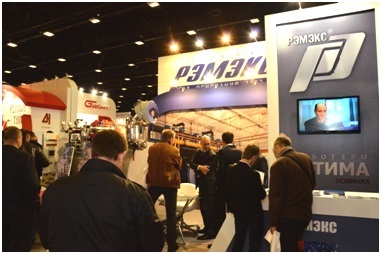 Leading Russian and foreign brands annually present at the exhibition the unique models and the latest novelties in the HEAT SUPPLY SPHERE. 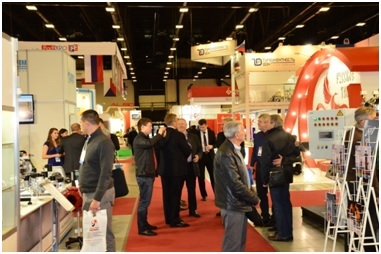 At the same time with BOILERS AND BURNERS are held 22th International Specialized Exhibition of Natural Gas Industry and Technology for Gas Facility «ROS-GAS-EXPO», 10th Specialized Exhibition Energy Saving. Power Efficiency.Innovative Technologies and Equipment. To visitors - solutions for the entire range of issues related to distribution and consumption of gas for representatives of various sectors. To participants - possibility to present the whole variety of products and services provided by engineers, manufactures, distributors. BOILERS & BURNERS - THE BEST WAY TO ENTER RUSSIAN HEAT ENERGY MARKET! CREATE YOUR FUTURE TOGETHER WITH BOILERS & BURNERS!